Congratulations, you now have full access to our resources area including CAD Drawings, CPD & technical support articles. The Metal Pages is a comprehensive guide to a range of materials which we truly beleive reflects the diversity of today’s metal roofing industry. The technical information provided in this official guide is extracted from ‘The Complete Manual’ designed and published by the Lead Sheet Association. NBS Specifications for all Rolled Lead roofing, cladding, flashing and penetration details are available to download. This presentation is free of charge, after the presentation technical advice and guidance can be offered on any projects you may be working on where Rolled Lead Sheet or DM Cast Lead is being specified. Beware all roofing merchants, builders merchants and Lead Installers!’ ‘Not all rolled lead is manufactured to BS EN 12588 specification. 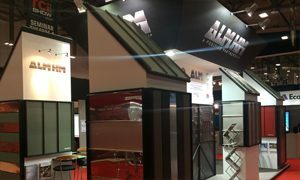 ALM is dedicated to the development and progression of skilled craftsmen for both lead and hard metals like Zinc, Copper, Stainless Steel and Aluminium.